Benny Jonas Nilsen (b.1975) is a Swedish sound engineer and recording artist who lives in Stockholm. He uses field recordings and electronic processing to explore perceptions of space and time through music. After releasing his first album as a teenager, Nilsen was later signed to Touch sub label Ash International before his debut on Touch proper in 2002. Nilsen become interested in experimental music at an early age, creating his first solo project, Morthond, at just 15, while playing guitar and bass in local bands. His first album, Death Time, was a cassette released on Sound Source, the now defunct debut-only sub-label of Sweden’s Cold Meat Industries, in 1991. Parent label Cold Meat Industries, one of the oldest experimental music labels in Sweden, released Nilsen’s next missive, The Crying Game, on CD the same year. In 1992 Nilsen changed the spelling of his moniker to Morthound and recorded two more albums for the label, Spindrift (1992) and The Goddess Who Could Make The Ugly World Beautiful (1994). Between 1994 and 1996, Nilsen adopted a new pseudonym, Hazard, and with the name change came a slightly different approach. The first Hazard album, Lech, was a long treatise on darkness and shadow released on American label Malignant records, while the second, North, earned him a spot on the Ash International/Touch roster with its concrete loops and shimmering gray drones. 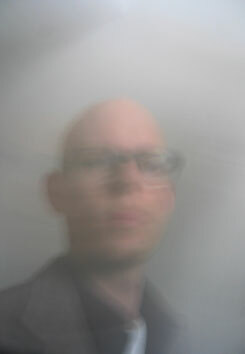 Nilsen went on to release a series of albums on Ash International, including collaborations with former Cabaret Voltaire and Hafler Trio member Chris Watson, and was included on a 2001 Touch split EP with Fennesz and Biosphere.Following his Touch longplayer debut, Land, Nilsen began recording under his own name, and has since established himself as one of the label’s mainstays. He’s also released music on Kning Disk, Helen Scarsdale Agency, Punk Kein Rock, iDEAL Recordings and Quecksilber.Nilsen made one recording as Tape Decay in 1999 for Cold Meat Industries, called Estheticks Of Cruelty. He is part of a duo project called Janitor with Lina Baby Doll (Peter Andersson, former member of Swedish industrial cult band Njurmännen). Nilsen has also collaborated with Icelanders Helgi Thorsson and Sigtryggur Berg Sigmarsson of Stilluppsteypa and cellist Hildur Gudnadóttir.